Exclusively grown by County Turf in the UK and for Europe under licence from the Motz Group, ECLIPSE Stabilised Turf is a patented combination of natural grass growing in a unique stabilizing mat. 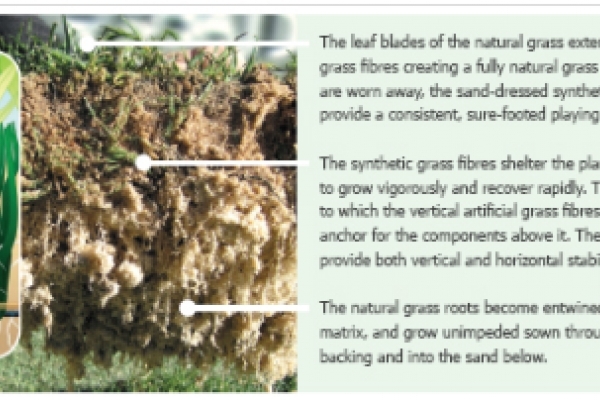 The combination produces a natural turf solution that delivers the manageability, playability and flexibility demanded by today’s world-class sporting venues. This hybrid turf combines natural and synthetic fibres tufted into an open-weave backing, top dressed with specified sand. The reinforcement of the artificial grass guarantees stability and an even playing surface immediately after installation. Eden Park, New Zealand Originally installed in 2003 and hosts of the 2011 Rugby World Cup. We installed 720 rolls of Eclipse Reinforced Natural Turf at Welford Rd, the home of Leicester Tigers Rugby Club in August 2016. 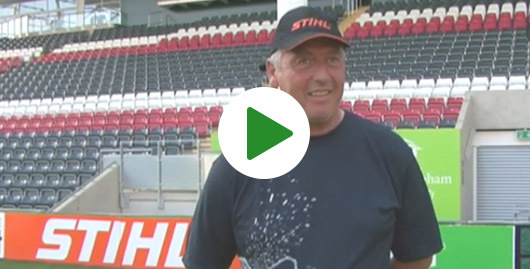 The new pitch was completed in 4 days and played on 8 days later! Click here to find out more. We installed 7,195m of Eclipse Reinforced Natural Turf at Griffin Park, the home of Brentford FC in August 2015. The new pitch was completed in 3 days and played on only 3 days later!